Harold Evans musical leader of Nashirah. The Jewish Chorale of Greater Philadelphia is Philadelphia’s high art singing group for performing Jewish choral music. “A number of us,” says Silber, “have been in synagogue choirs, and we were really looking for a way to sing Jewish choral music in a high-quality setting. Synagogue choirs are community choirs, and most of them are wonderful organizations. They’re usually non-auditioned, and their mission is usually to give people a place to sing. But those of us who have been in them for a number of years knew of other choirs in many other cities with substantial Jewish populations,” such as the Zamir Chorale in New York and the Zamir Chorale in Boston. Silber adds, “These are auditioned high-quality chorales that focus on exclusively Jewish repertoire, and they’re real treasures for the Jewish community in those cities. Philadelphia did not have an ensemble like that.” In the fall of 2002, she continues, “We began a series of community meetings with people that we thought might be interested in helping form a auditioned, high-quality Jewish chorale that was community based” in the Philadelphia area. This year Nashirah has done works based on the Psalms, such as "Shir La-Ma’alot" by Salamone Rossi in Hebrew, a part of Felix Mendelssohn’s "Elijah," and the Motet number 29 by Johannes Brahms (based on the fifty-first Psalm) in German. They have also done works by Aaron Copeland and Leonard Bernstein: "We felt," says Silber, "that their music represents part of the Jewish-American experience, and we feel that the more diverse our repertoire, the more challenged we will be, and the better we will be, and the better singers we will attract." In thanksgiving, Hallelujah..in awe, Hallelujah...in exultation--Hallelujah! Nashirah presents its third annual concert "Sing Hallelujah!" on Sunday, May 20, 2007 at 3 p.m.. Rejoice with them as they celebrate the many musical faces of this year's exciting theme in the incomparably beautiful surroundings at Congregation Rodeph Shalom (615 North Broad Street, Philadelphia). Come hear Nashirah Sing Hallelujah! in their signature variety of settings and styles; from Psalms to swing; from Baroque to Broadway. General Admission is $30 and parking is free. To purchase tickets, visit their website or call 1-888-901-6274. Debbie Cohen, who sings soprano for Nashirah, said of how she discovered the group, “One of the singers asked me to be a part of this. I’ve been a musician my whole life, and I’ve been looking for a dedicated ensemble that performs Jewish music, having come from several other ensembles in my past.” Cohen agrees the group has a strong sense of community, saying, "We all have a common purpose here, to create music, and to create good will through music. It’s an opportunity to bond with other people that have the same interests we have." Linda Lempert, an alto, says what drew her to the group was “the opportunity to sing Jewish-themed music on a professional level. I’ve sung in other choirs and we don’t get to do things that are very Jewish, so this is why I like it." Toby Winter, a soprano, says, “I am the coordinator of a choir in Cherry Hill, New Jersey, and I have a great love of Jewish music, and I was in invited to join the group about five years ago. I think it is a fabulous experience and opportunity. I went to the High School of Music and Art in New York City, and I feel I’m able to experience a musical education on that level in this group." Howard Winter, Toby’s husband and a tenor, says, “The truth of the matter is, I go to work so I can do this. This is a joy (singing with Nashirah), this is what living is about, making beautiful music, and at a very high level." Art Feldman, who sings baritone, says, "I have been singing since I was a kid, all through high school and through college, through medical school and beyond. This was the kind of group I was looking for all these years –-- high level, but Jewishly oriented. It is very demanding, but it’s fun, it transports you to something completely different every week." Harold Evans is the artistic director of Nashirah. "I spent a number of years as Associate Director of the Virginia Opera,” he says, “and did quite a bit of conducting there. I’ve done shows like Porgy and Bess, Madame Butterfly, that kind of thing. 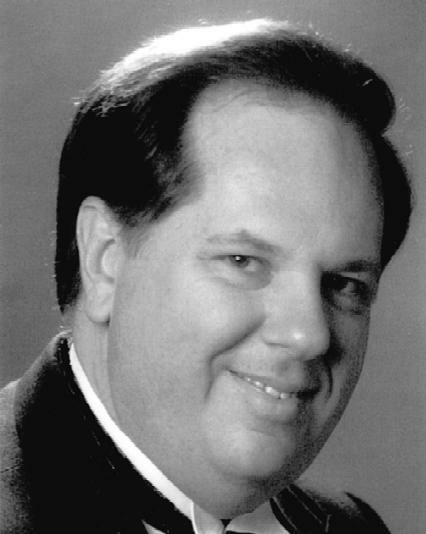 I spent a few years doing forty concerts as Resident Director of the Virginia Symphony, and I was the Associate Director of the Des Moines Metro Opera,” where he lead performances of Die Rosenkavalier, Peter Grimes, and Boris Godunov. He keeps a studio in Philadelphia and another in New York, where he coaches singers and teaches conducting. After having the opportunity to speak with the members of Nashirah, it became clear that they are very dedicated to singing with, and being part of, such a special group.